Today, I have for you 4 of the 6 springtime polishes from a new to me indie brand Royal Polish. Royal Polish is 5-free and cruelty free The collection is called Blooming Into Springtime and it features 4 pastel cremes, a crelly glitter, and a glitter topper. Carnation Creation is a pastel pink creme. Dancing in the Garden is a pale pink crelly base with pastel matte and satin glitters mixed throughout. 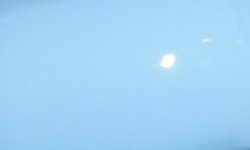 Robin's Egg is a pastel blue creme. 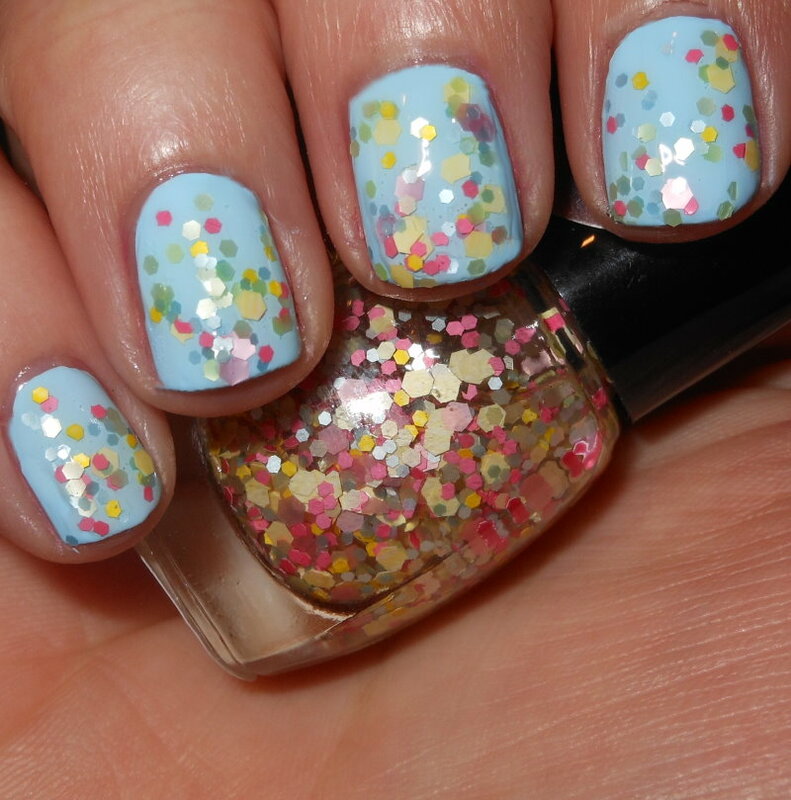 Blossom Blend is a mix of pastel glitters in a clear base. Color: This a is mix of pretty spring time colors. 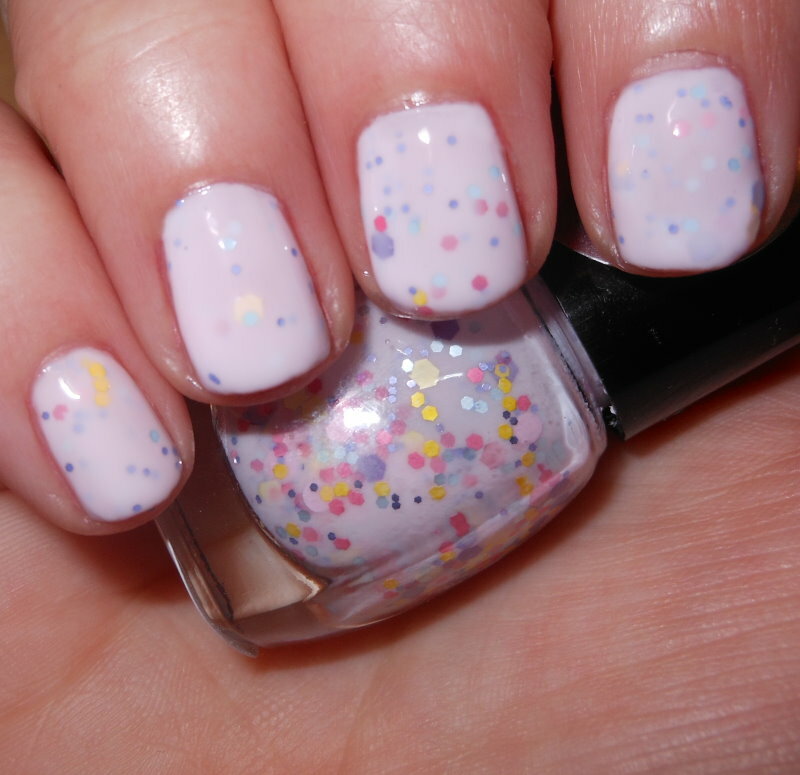 I love the the pastel glitters, they're soft and feminine. 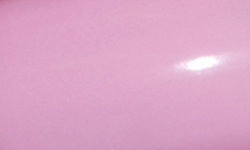 The cremes are saturated and exactly what I'm looking for in a pastel polish. Formula: The formulation on the cremes is hands down the best formula I've ever experienced in pastel cremes in my entire life. These were 2 coats, not streaky, not thick, and so easy to apply! 2 coats on a pastel creme like this is amazing! 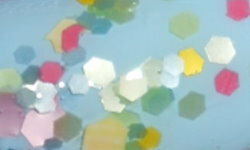 The crelly glitter and the glitter topper I did have some difficulty with. I did find them to be a bit thick and more challenging to apply. The larger glitters in Dancing in the Garden do tend to sink to the bottom, so I advise letting the bottle sit upside for a few minutes prior to polishing. Blossom Blend was thicker and seemed more suited toward dabbing than painting it on your nails. I'm not accustomed to dabbing, so this was different for me, but I know many people are comfortable with dabbing on glitter. Price: The full sizes of these polishes are $8.50 and the entire set of 6 is $45.00 on Royal Polish's Store Envy site. Overall: I was so impressed with the cremes in this collection. The superb formulation on the cremes is one for the record books in my experience. I adored them. The glitter topper and crelly glitter I did struggle with application, but are really beautiful glitter combinations for spring. Be sure to check out Royal Polish on Facebook and Instagram. Loving the cremes too! Its a pretty collection fro Spring. These are really pretty!! Good to know that the formulas of the creme pastels are great. That's hard to find.